Imagine being able to power our lives without harming the environment. Imagine our country producing and consuming energy while we enjoy healthy, livable communities. We have the power to give kids growing up today a livable future. That’s why we're calling for Pennsylvania and the nation to make a commitment to 100% renewable energy. Burning fossil fuels like oil, gas and coal has polluted our air, water and land for decades. Now it’s changing our climate, even faster than scientists feared it would. But we can have healthier communities right now and a livable future for kids growing up today. To get there, we need to transform the way we produce and consume energy. That's why we’re calling for a statewide and nationwide commitment to 100% renewable power. It’s a big, bold goal. But it’s also one that would make America a world leader in the race toward a cleaner, healthier future — and it’s a goal that’s 100% possible. 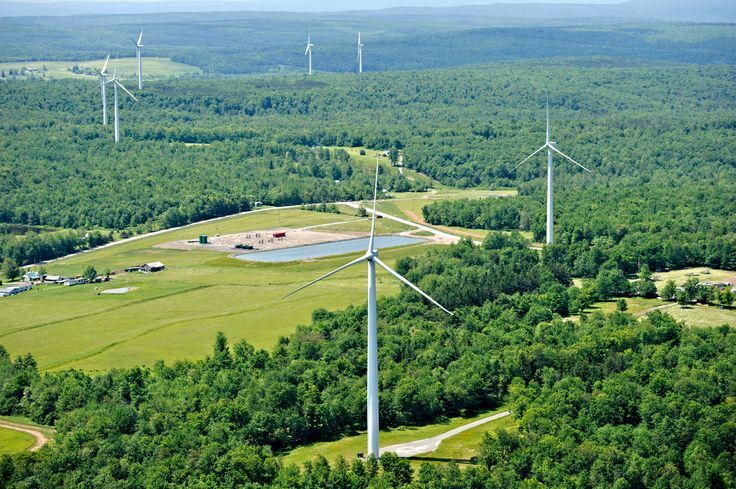 Companies and municipalities are already committing to 100% renewable energy. Consider: Companies ranging from Apple, Google and Facebook to Johnson & Johnson and Coca Cola have already committed to going 100% renewable. So have cities like Pittsburgh, Philadelphia and others. Some cities around the country like Greensburg, Kan., Burlington, Vt. and Aspen, Colo., have already achieved 100% renewable energy. This has dovetailed with solar power installations tripling in America in just the last two years — there is a new home or business going solar every one and a half minutes. In many states, wind power is now cheaper than gas or coal. Clean energy keeps growing faster, with prices for consumers and businesses dropping lower than even the most optimistic industry predictions of just a few years ago. It’s time to stop letting some slow-moving politicians drag their feet, and start pushing them to step up and lead. We can’t wait any longer: Scientists say we must stop burning fossil fuels by 2050 in order to our spare kids growing up today from the devastating impacts of climate change. Why wait until it’s impossible to leave our kids a safer, healthier tomorrow? We’re ready for this. PennEnvironment and our national network at Environment America have been working aggressively to promote solar and wind power, and energy efficiency and conservation at the state and local levels. We’ve won clean energy policies, from pro-solar initiatives to clean cars programs to renewable energy standards, all of which are driving down the costs of wind and solar power, and driving down carbon pollution. Windmill farm in Bradford County, PA showing a gas drillng fracking fluids reservoir. Photo Credit: Don Biresch. click here for source. [Harrisburg PA,] – With Earth Day only days away, Democratic and Republican legislators from every corner of the Commonwealth and from both chambers of the General Assembly came together to introduce groundbreaking legislation to make Pennsylvania a leader in the effort to solve climate change. [Philadelphia, PA] -- A bipartisan group of 180 U.S. mayors, representing 42 states including Pennsylvania, are speaking out in support of solar energy. Pennsylvania had more support than any other state in the nation, with 43 signers from municipalities across the Commonwealth. New Hope, PA – At a local Climate Solutions Expo in New Hope, local family-owned solar company Exact Solar presented a vision of Bucks county powered by solar panels. Citizens from across the county heard from a wide range of presenters on how they can tackle climate change, despite federal efforts to undermine clean energy and environmental protections by the Trump Administration. Offshore Wind: Offshore wind development on Lake Erie could create 3,000 jobs and power 500,000 homes. Business Leaders: Mars, REI, Big G Green and the Pocono Raceway are all being powered by 100% clean energy. Renewable Cities: Cities big and small are putting plans in place to go 100% renewable.